Talk about breaking away from tradition. Meghan, Duchess of Sussex and Prince Harry have just released an official statement announcing their plans for the impending birth of Baby Sussex. And, uh, spoiler alert: don’t expect a photocall on the steps of the Lindo Wing of St. Mary’s Hospital á la Princess Diana or Catherine, Duchess of Cambridge. It’s not clear if this means Meghan and Harry will eschew a delivery in the Lindo Wing or just a photocall. Royal reporters have noted this might mean the birth will take place at the couple’s new home at Frogmore Cottage in Windsor, with a subsequent photo opp with the baby days later. With a global interest in the birth and all things Baby Sussex at an all time high, it’s only right for Meghan and Harry to take all the necessary precautions to ensure the privacy and safety of their family. And it’s not like the media has earned some goodwill points with the duke and duchess lately. Meghan is mere weeks from delivering and stories of her being banned from using royal jewels, or her feud with Kate, or her demanding personality, or a thousand other vile rumors have been disseminated with relish by tabloids around the world. 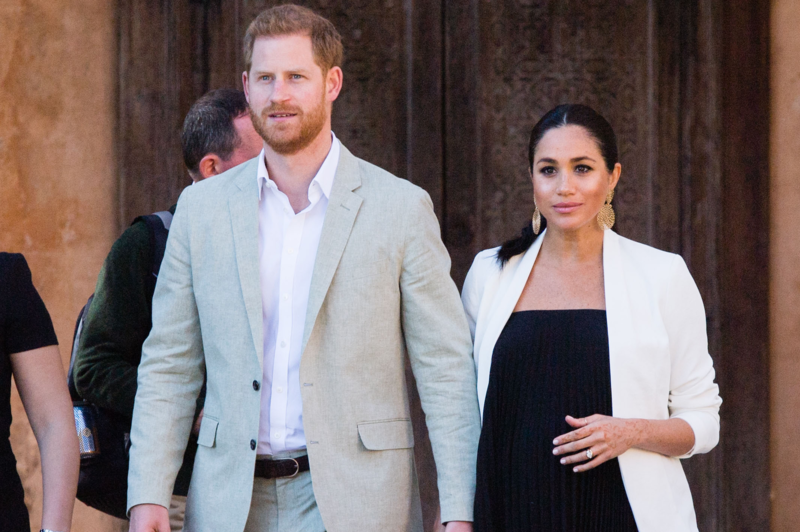 Meghan is sure to receive some flak for breaking with tradition, but as only the seventh in line to the throne, Baby Sussex has some wiggle room in the royal protocol department. Plus, as the parents, Meghan and Harry are truly the only ones who can make a decision here. A decision that should be lauded, might we add.